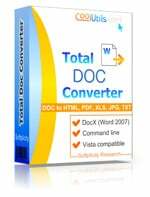 This Doc converter differs from other solutions by simplicity and powerful set of options. All you need is carefully gathered in one easy-to-use program with clear interface. To convert Doc to Tiff you only need to select necessary Doc file and click on 'Tiff' button on the formats panel that is located at the top of program window. After this you will see the wizard that will guide you through options settings. If you don’t have time to make adjustments, you can simply click on 'Start!' button, and conversion will be made using settings offered by default. 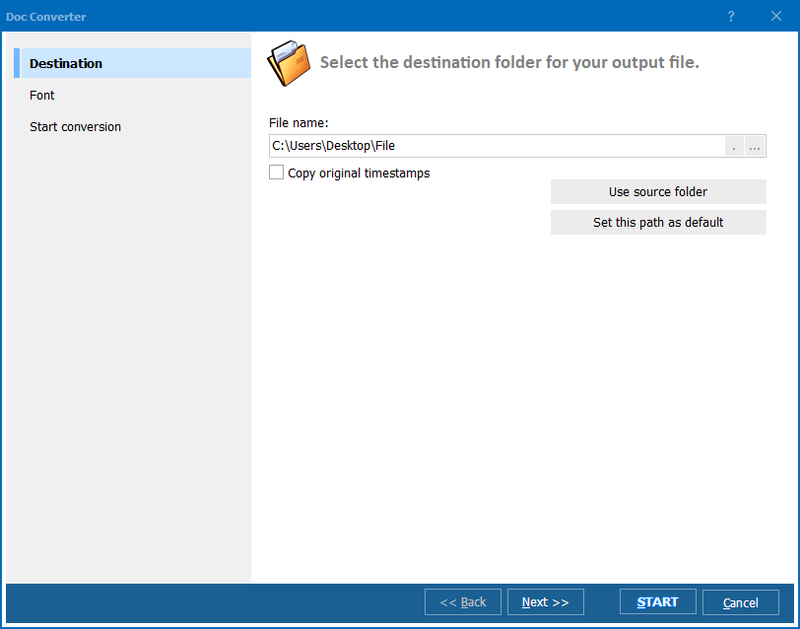 Or you can select specific conversion type (ZIP, LZW, Jpeg, etc. 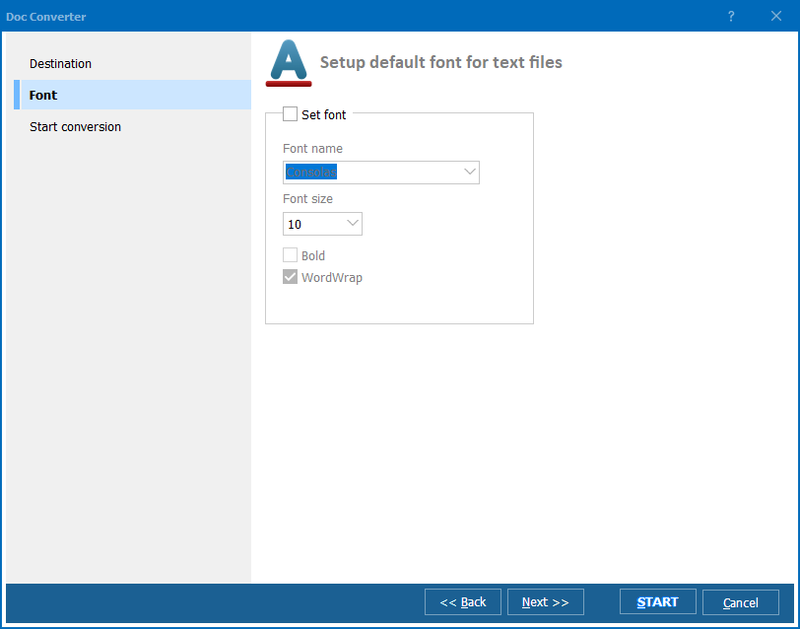 ), paper format and font style. In this case you will get Tiff version in full accordance with your requirements. 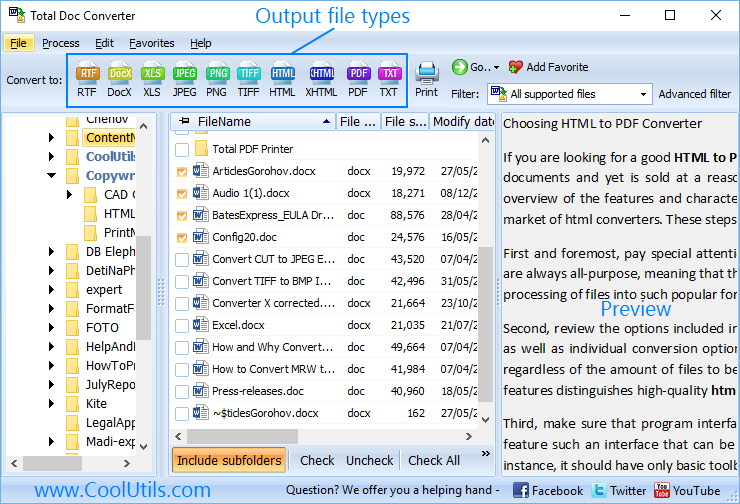 There are two modes – converting all pages in one file or every page in separate file. If needed, you can set to delete source file after conversion. Convert Word to TIFF with comfort.